I saw them at Melbourne Zoo aggggggges ago. 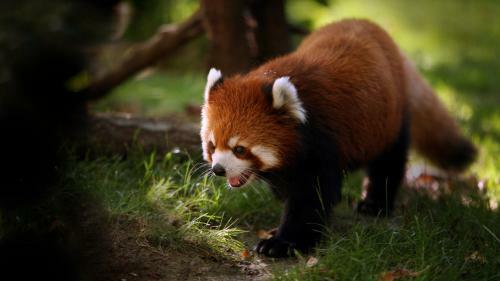 Red Panda! Although it looks much more like a raccoon to me. however, they both eat bamboo, that’s the reason for the same name. it looks so cool! I want one! I bet these taste awesome! Naked pics for the first person to buy me one! Totally my favorite animal.